MEMS Shock Accelerometers measure high g-shock events. 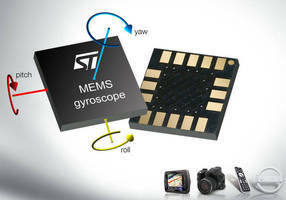 MEMS Gyroscopes available in single- and multi-axis versions. 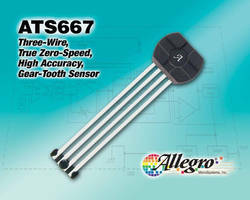 Geartooth Sensor incorporates dual element Hall IC. Outdoor Intrusion Detector employs advanced technologies. Non-Contact Motion Sensor provides incremental output. Digital Pyroelectric Detectors have 2-element architecture. Motion Sensor changes sensitivity in response to environment. Integrated Circuit detects ferrous targets.